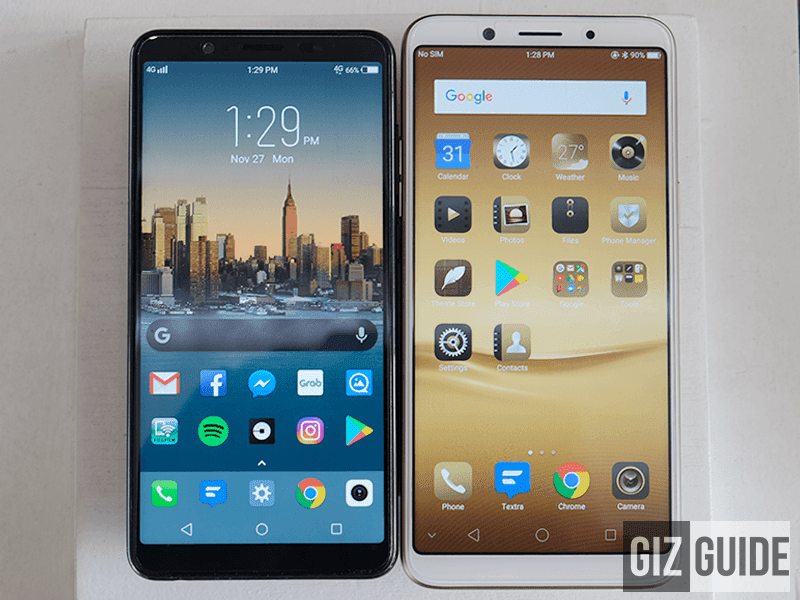 Both Vivo and OPPO, the rival selfie-focused brands, has released their lighter version of their hero products in PH recently, the Vivo V7 and OPPO F5 Youth. Vivo V7 or OPPO F5 Youth? As expected, both arrived w/ lesser specs coming from the V7+ and OPPO F5. But, both 18:9 phones are also lighter on pocket compared w/ their higher-end siblings. Now, let's check who's the better buy based on specs alone. Is it the Vivo V7 or the OPPO F5. Read on! On paper, the Vivo V7 has the gaming friendlier GPU, more RAM, and better back and front cameras. The OPPO F5 Youth is no slough though. It even has a bigger screen w/ sharper resolution and slightly bigger battery capacity. The 16MP front camera w/ A.I. Beauty Recognition Technology is quite decent too. Stay tuned for our actual comparison in the next few weeks!